Ari noticed that the biggest issue with outsourcing is that people see outsourcing as a binary activity, which is either to “do everything myself or give everything away”. And this is because there’s a lot of trust issues and he sees these trust issues as a result of bad communication. Hi, and welcome to another episode of the Outsource Accelerator podcast. This is Episode No. 218. So we are joined today by Ari Meisel of Less Doing. I was lucky to have Ari on the show originally back in Episode 212. So if you want to listen more of his original story and how he got into all of this, then go back and listen to that episode. In this episode though, we talk more about Less Doing and how he increased his productivity for his clients. One of the major pillars of this is outsourcing. So this is why I got him on the show to discuss his own experiences and optimizations for outsourcing and why he’s such an advocate of the whole outsourcing thing. So I had a really good conversation, and I’m sure you will enjoy this podcast. If you want to get in touch with Ari or know any more about Less Doing then go to our show notes, which is at outsourceaccelerator.com/218. Enjoy! Okay, welcome back everybody. 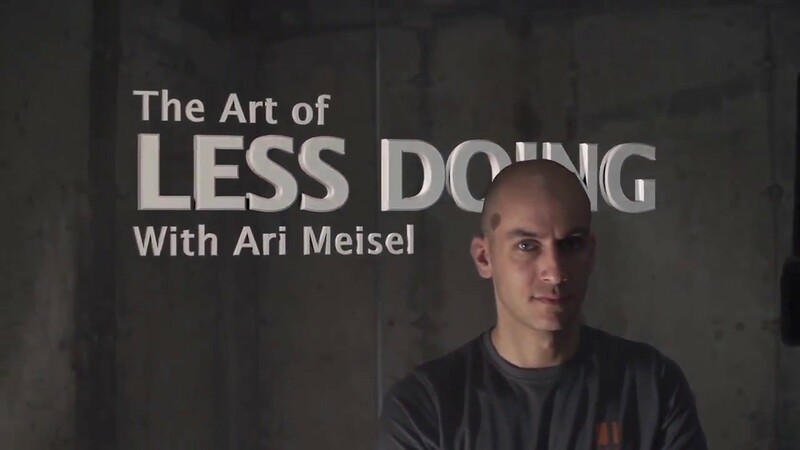 Today, I’m super excited to be joined by Ari Meisel of Less Doing. Hi, Ari, how are you? Ari Meisel: Doing great Derek, thanks for having me. Derek: Ari is an accomplished productivity guru and there’s a comment that his actual “guru of gurus” when it comes to productivity. He is the author of The Art of Less Doing and more recently of a second book, The Replaceable Founder, which were going to talk about today with his training and general philosophy of Less Doing. So great to have you on board Ari, and I supposed initially, you’re far better introducing yourself than me, so can you just give people a quick introduction. Ari Meisel: Yeah, absolutely. So, I started on the road to productivity probably eight years ago, I created this for productivity called Less Doing as a way of helping me manage my illness that was really limiting my ability to work and also causing me a lot of stress. And so, I was initially helping individuals to optimize, automate and outsource everything in their lives. 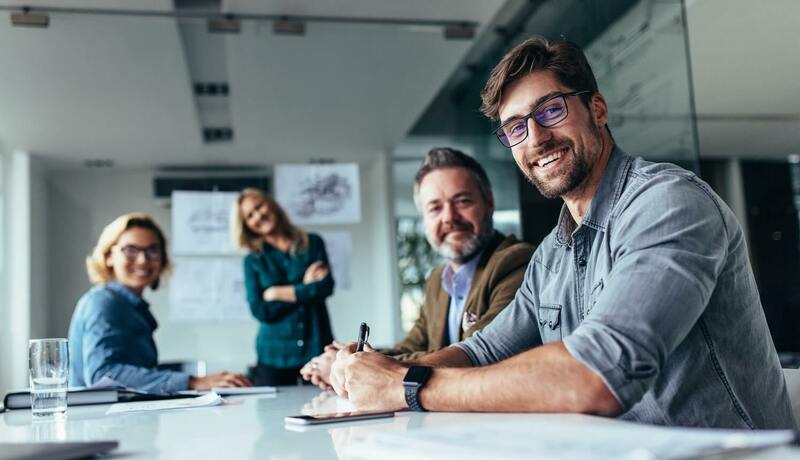 And that’s grown into much more of a business coaching program where I help entrepreneurs who have opportunity and access of what their infrastructure will support to create systems and processes that empower their teams and make themselves more replaceable. Derek: Fantastic. And how achievable is that sort of ever elusive goal of I supposed being more and more productive with less and less to do? There’s a concept of like anything filling the space that is given. As humans, are we inclined really just to keep on pushing and if we do get a spare moment to fill it with another kind of aspirational task? Ari Meisel: I think as humans maybe, but as entrepreneurs, definitely. I think that one of the things you have to ask yourself if you want to be an entrepreneur is, are you okay with playing a game that has no end? And it’s an important question because a lot of people aren’t, a lot of people like to have, or it’s not even necessarily like it, but if they’re comfortable with the idea of a finish line. And the thing is in entrepreneurship, even if you sell your company for $1 billion, most entrepreneurs, even the ones who do that, they shrugged their shoulders, and these are something new that they did later. So, if you’re okay with playing actually a new, and better way of doing things. I did Ironman in France in 2011 and I finished in 13 hours and 45 minutes. So, and the winner of Ironman, does it in eight and a half hours or something. And it’s the kind of thing where there’s no amount of training that I could do that would make me win that race. But I get that, and I accept that. But yet a lot of people going around and thinking that they have to win at the race that they’re not even in. Derek: Yeah, it’s compulsive, isn’t it? It’s compulsive behavior. And they say that entrepreneurship is an incurable disease. But it is compulsive, isn’t it? And I know a lot of people that comment about the Ironman and the Spartan races and, right at the finish line there was a sign-up desk for the next race because people have to get straight back in and book themselves up for the next race so they can train 40 hours a week up until that point. Again, there is a kind of a compulsive aspect to it. But how do you know with the business, and I’ve read Gary Keller’s, The One Thing, and within business we’re taught to be disciplined, we’re taught to delegate, we’re taught to focus. But would businesses you say, even if you go up to a billion revenue or exit, you possibly could have made it a 10 billion. There’re always things you can work on in a business. And how do you come to reconcile when to be content or when to I supposed delegate? I’m more interested in saying like, “What is the thing that’s holding me back?” Because there’s always something. If we turn that discussion or that process inward and look for the lead weights on our feet rather than the goal or the basketball hoop that we can reach for. I think that that has an end either, but it’s a lot more reasonable pursuit. Derek: And so, Less Doing then your project, your website, and philosophy and then out of that has come The Replaceable Founder, which is a book and also a course, you teach a lot of systems and processes and then as a partnership with that to outsource. Now this is an audience of people that are either outsourcing or, I’m trying to encourage everyone else to outsource if they haven’t done it already. What are your experiences with people? You’ve met a lot of business people, and a lot of successful businesses, a lot of startups. And what is your general impression of people there when they start outsourcing and then the difference that it makes when they change. This isn’t a loaded question, it can be positive and negative, but have you seen the sort of level of awareness of outsourcing and at this stage within sort of normal business and in the outcomes. Ari Meisel: The biggest problem that I always see with outsourcing is that I feel like people see outsourcing as a binary activity. Meaning, either I have to do everything myself or I have to give everything away and I don’t want to do either one. And so, with my clients we teach something called Six Levels of Delegation, which is everything from ‘just get it done to just do what I say’. And people who have assistance or they’ve delegated, a lot of them are used to using it for fairly low-level stuff and they never think that they can take it up a notch. Derek: Yeah. It’s interesting, isn’t it? When you see the fear factor, do you see people as seeing outsourcing as a bit scary? You’re going over to a third world. As you mentioned in the last episode, it’s so much like, “You’re dealing with aliens.” What is the sort of level of comfort with outsourcing in Germany you see? Like you need to start with something really small. Derek: Yeah, absolutely. And it’s just getting it into the routine and into sort of a normalized kind of relationship, isn’t it? And then it just becomes a normal part of the operation thing. How do you yourself find it sort of best or easiest to encourage people and assist them into outsourcing? Ari Meisel: So, I actually have this exercise that I really like doing, which is that you take a piece of paper and draw three circles and in the first circle, you write down three things that you’re excellent at, like you’re the best in your business at. And the second circle, you write down things that you’re competent as but not excellent. And in the third circle, write down things that you’re bad at, but you still do them anyway. And what you find, what I did find inevitably is that the middle column, the one that write down things that you’re competent at, the team members that you want to have, the people that you want to have on your team. And the third one, the things that you’re bad at but you still do it anyway. That’s the stuff that you want to have straight up, outsource. Just hire a service, just get it done. And it’s so amazing and seeing that because it just works out like so while your time. So, a lot of times one of those bad things will be bookkeeping. If you’re bad at bookkeeping, most businesses don’t need a bookkeeper on their team. They can just outsource it to some sort of outsourcing service. If you needed a web development stuff, you can do it, but you’re really bad at it. You don’t necessarily need a developer on your team. You can get a service like automation agency for example. They can do unlimited website changes for you in a month. However, if you’re competent at writing, and writing is important to your business and you do a lot of it, you probably should have a writer who’s on your team. And that doesn’t mean that they are a full-time employee, and most people kind of know what I’m talking about I would say, it’s like someone being part of the team or you’re just sort of hiring it out. Derek: Yeah. It’s just at first an ongoing relationship, doesn’t it? It can be part time. Derek: That’s basically where people get to know each other, getting to know each other’s requirements, and then it works most uniquely. Derek: Fantastic. And so, The Replaceable Founder then, it’s a course about getting people to identify their own processes, their own needs and basically it starts to replace themselves, so effectively scaling with processes with the end goal of replacement, is that right? Ari Meisel: Right, exactly. And with replaceability, we don’t want to actually replace you but if you use that as guiding light of trying to remove bottlenecks, kind of make yourself less of a liability in your own company, the results are pretty magical. Derek: Fantastic. So, where can people go, if people want to hear more about that? Ari Meisel: So they can find everything over at lessdoing.com, the book, the blog, the course and everything. And if you want to try The Replaceable Founder that is there. Derek: Amazing! Thank you so much Ari. And I will put all of that in the show notes, of course. Okay. That was Ari Meisel of Less Doing. I hope you enjoyed that, and if you want to get in touch with Ari or know any more about Less Doing, get any links that he mentioned, then go to outsourceaccelerator.com/218. And as always, if you want to ask us anything then just drop us an email to ask@outsourceaccelerator.com. See you next time.